ASALI is a family business, making beautiful, luxury leather goods. They are one of very few brands to hold a license from the Ministry of Defence and the range is genuinely used by our countries fighter pilots, supplying both the Typhoon and Red Arrows Display teams. Perfect for anyone interested in aviation, the military or just likes the luxuries in life, prices range from £8.99 for a genuine leather keyring to £249.00 for an Italian leather weekender bag. 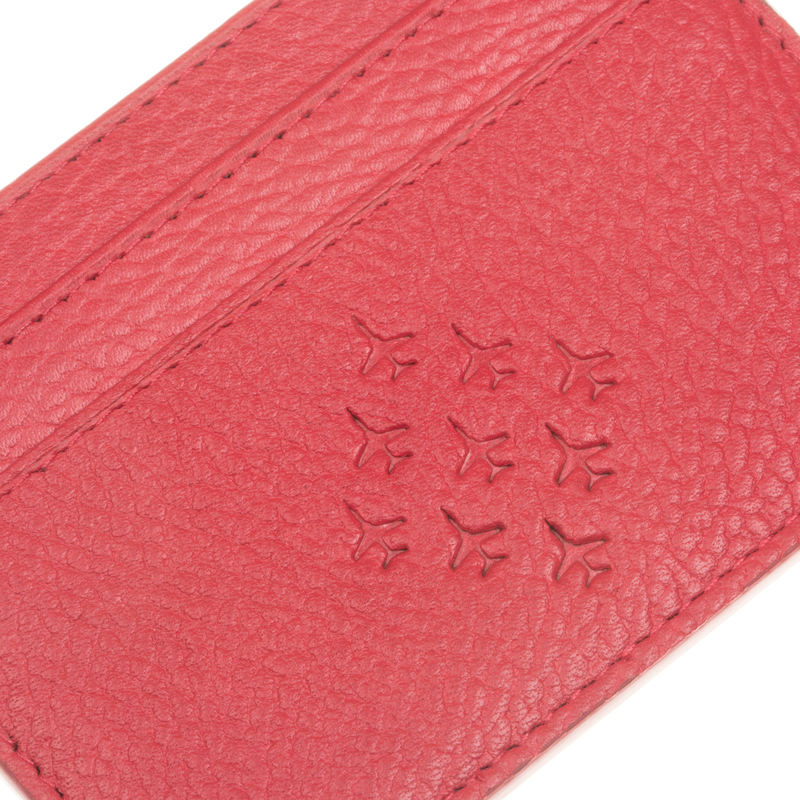 The cardholder comes in iconic Red Arrow 'Red'. Made from genuine leather, this double sided cardholder can comfortably hold 8 cards. The central, lined pocket is perfect for notes and receipts. The leather has the famous Diamond Nine formation embossed on one side. Subtle and sleek. Our over-sized leather washbag is perfect for a weekend away or holiday. Made from leather, it has a washable lining, inner zipped pocket and opening like an old style medical bag. It arrives with its own dust-bag and wrapped in tissue. A minimal approach to bring maximum style and luxury to your travels. We've tested it out and this bag is a show stopper! Be part of a growing brand and set the trend… the ASALI weekend bag is made from Italian Leather with black lining and stylish silver fittings. The accompanying branded dust-bag is a great way to protect that special dress or shirt. Complete the set with a tanned cardholder and zipped case. The idea for ASALI came from owner and entrepreneur, Mindy Arora, after she identified a gap in the market for luxurious, officially licensed military products. Mindy combined a genuine love of design with her favourite iconic military brands to launch the first range of aviation inspired luxury leather gifts. As well as celebrating these brands, Mindy has created a small range of ASALI own products which you can view here. Since our launch in May 2017 we have supplied both the Typhoon Display and Red Arrows teams with our products and continue to work with squadrons across the RAF Please get in touch to find out more. This press release was distributed by ResponseSource Press Release Wire on behalf of ASALI DESIGNS in the following categories: Men's Interest, Leisure & Hobbies, Travel, for more information visit https://pressreleasewire.responsesource.com/about. Aviation & ASALI branded gifts crafted from 100% genuine leather. MOD licensed we support charities with every sale. As seen in Liberty. FREE UK delivery.